Near Letterfrack and Connemara National Park, just a few miles from Ireland’s western coast, the shimmering waters of Kylemore Lough act as a mirror to the impressive neo-Gothic structure known as Kylemore Abbey. Mitchell Henry, a wealthy English doctor, built the grand private estate as a retreat for himself and his wife, Margaret, who loved to holiday in Connemara. Formerly the site of the Henrys’ Kylemore Lodge, the castle was constructed overlooking the lake and completed in 1871. 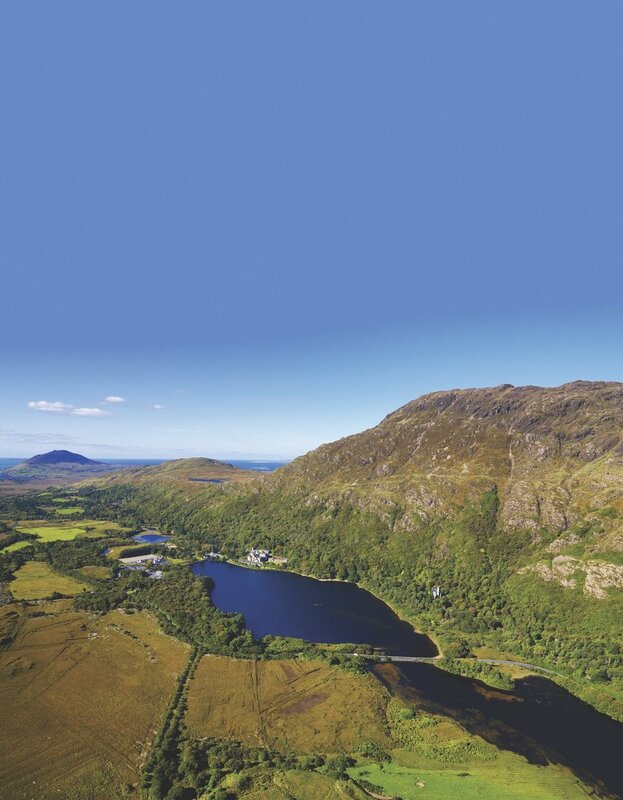 Kylemore Estate became a thriving commercial and political center as Henry offered a guiding hand and work opportunities to the locals who were recovering from the Great Irish Famine. After the untimely death of his wife in 1874, Henry built a beautiful memorial church on the grounds. The estate went through several changes in ownership and renovations before becoming home to a community of nuns of the Benedictine Order in 1920, their own abbey in Belgium having been destroyed in World War I. The nuns thrived at the castle, restoring the estate to its former glory, and they also opened a world-renowned boarding school for girls on the property, which closed in 2010. 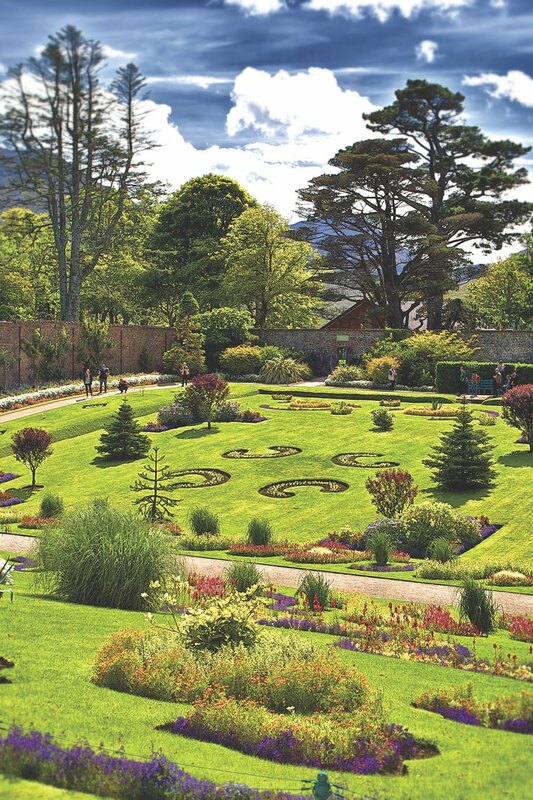 Today, Kylemore Abbey and the adjacent Victorian Walled Garden, the Gothic Church, and the grounds are Connemara’s most-visited attraction. Daily history talks are available year-round, garden tours are available in the summer months, and the property also features an extensive gift shop, dining options, outdoor activities, and events for all ages to enjoy. Visit www.kylemoreabbey.com to learn more or to purchase tickets.